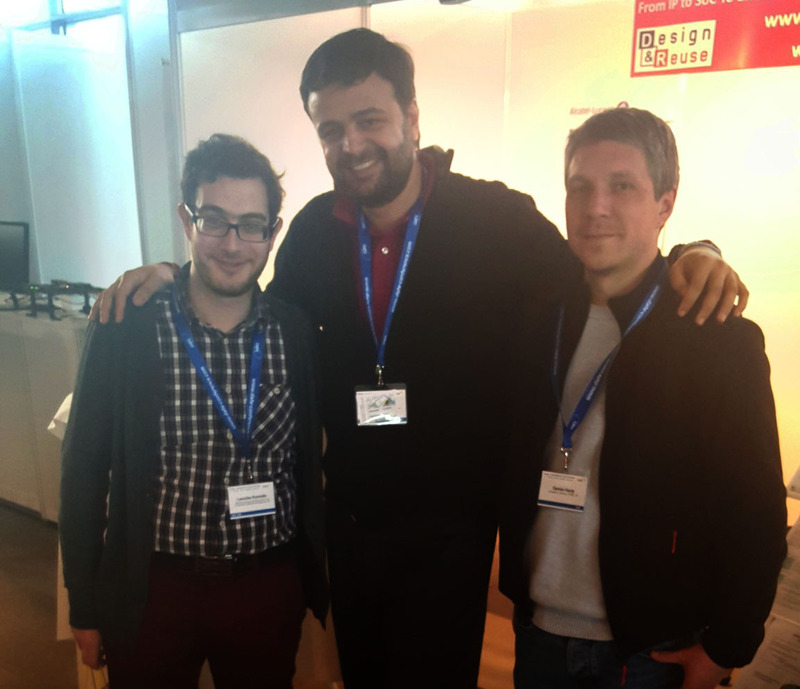 Leonidas Kosmidis, PhD Candidate at Barcelona Supercomputing Center and Universitat Politecnica de Catalunya, was selected as one of the 4 finalists for the Best Poster Award at the PhD forum event at the Design Automation and Testing in Europe (DATE) 2016 Conference in Dresden out of a pool of 27 participants. The event was held on Monday March 14 in the opening reception of the conference, which is annually attended by thousands of academic and industrial participants and it is considered as one of the most important conferences in the real-time and embedded systems domain, as well as a major networking event. Leonidas' thesis contributions include several technologies used in PROXIMA such as hardware designs for MBPTA (including time-randomised caches) and software-only time-randomisation solutions. The title of the thesis is "Enabling Caches in Probabilistic Timing Analysis" and is supervised by Dr Eduardo Quiñones, Dr Jaume Abella, Dr Francisco J. Cazorla and prof. Mateo Valero. Also noteworthy, Damien Hardy (Assistant Professor, University of Rennes) obtained the Best Paper Award in DATE (Design, Automation and Test in Europe) 2016 with his paper Titled: "Probabilistic WCET estimation in presence of hardware for mitigating the impact of permanent faults" and co-authored by Isabelle Puaut, Yanos Sazeides." These are great news for the set of researchers, with notable presence of PROXIMA members, working in probabilistic real-time systems. These paper are a testimony of the increasing impact that probabilistic timing analysis techniques are achieving in the academic community, led by the contributions of the PROXIMA Project. Photo of Leonidas Kosmidis (left), Francisco J. Cazorla (center) and Damien Hardy (right).